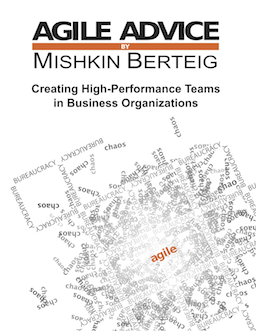 Berteig Consulting with the help of some partners is now offering a new service called The Agile Clinic. This is not a typical coaching or training session. The entire clinic has a duration of just one day. During this day there are short 30 or 60 minute appointments made by managers, executives, and staff with two experienced agile coaches. These coaches listen to problems presented to them, consult, discover, facilitate, diagnose, and offer solutions. These appointments are designed to be intense and high-impact sessions. Visit www.agileclinic.com to see how this service can add great value and provide fantastic results to your company with a small time cost.